I'm not looking forward to spending the weekend sitting deathwatch on Phobos-Grunt. It's not science, and it's a sad event, so my instincts would lead me to other subjects. But it contains the Planetary Society's Phobos LIFE experiment. When it falls to Earth it'll be carrying one of our dreams with it, and that serves as a reminder that there are a lot of scientists and engineers who also had hopes and dreams riding on this mission's success. As of 1800 UT, Phobos-Grunt was in an 88-minute orbit ranging from 148 to 177 kilometers above Earth's surface, with both falling at a rate of more than 10 kilometers per day. The current Spacetrack estimate of when it will fall is Sunday, January 15, around 17:30 UT, give or take 9 hours. I won't bother providing a guess of where it will fall, because Phobos-Grunt is in such a low, fast orbit that small uncertainties in reentry times translate into huge uncertainties in reentry location. For what it's worth (which may not be much today, but will be more tomorrow and Sunday), zarya.info is providing an updated map of Phobos-Grunt's projected orbital path. Phobos-Grunt is a large spacecraft by mass -- 13.5 tons -- but nearly all of that weight is in its 11-ton fuel load. That fuel is stored in aluminum tanks, according to Roscosmos. Aluminum has a relatively low melting temperature, and most experts seem to think that during the fiery reentry the tanks will most likely be breached, which will likely be followed by immediate combustion of the hydrazine fuel. (There is a minority opinion that disagrees.) I'm no engineer but I suspect that the explosion of the fuel load would blow the spacecraft to tiny bits. Interestingly, the sample return capsule's heat-resistant nose is facing toward those fuel tanks. 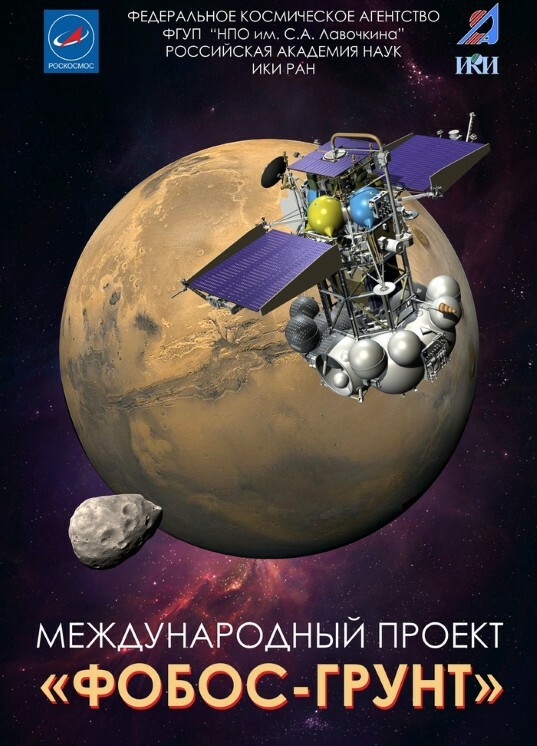 Roscosmos has estimated that 20-30 pieces of Phobos-Grunt amounting to no more than 200 kilograms of material will survive to reach the surface. By far the most likely outcome is that the material will fall in the ocean, and we'll never find it or even know precisely where it came down. But of course the world will be watching. I won't blog again about Phobos-Grunt until after its existence comes to an end, but I will be Tweeting any news I come across. I'll also be following @PhG_Reentry, @ponder68, and@Zarya_info for news. Amateur astronomer Thierry Legault has been taking photos of Phobos-Grunt as it flies swiftly overhead. (I've posted his images of Space Station and Shuttle silhouetted against the Sun here before.) Here's an amazing video of his. Phobos-Grunt is flying with its solar panels facing the Sun; they reflect light toward Legault during the first half of the video, then they vanish as their plane passes by him. On the other hand, the bright, spherical fuel tanks reflect sunlight to Legault from all angles. Here is an official Roscosmos statement (in Russian) on measures being taken to monitor public safety as Phobos-Grunt falls. And because every tragedy can be mitigated by black humor, here's faux news anchor Stephen Colbert's take on the upcoming demise of Phobos-Grunt.